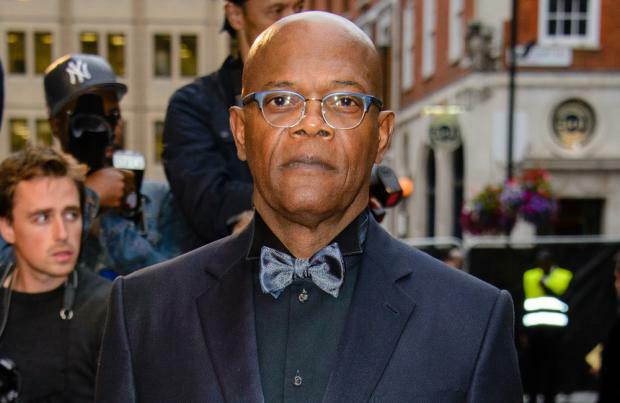 Samuel L. Jackson thinks 'The Hateful Eight' is one of the best scripts Quentin Tarantino has ever written. The 66-year-old actor and the award-winning director have collaborated on numerous films through their careers, including 'Pulp Fiction' and 'Jackie Brown', but Samuel has claimed his upcoming Western may be the best yet. He explained: "I truly think it's one of the best he's ever written, if not the best. It's a real ensemble piece, it reads and performs like a play, all the parts are rich, all the people are interesting and fully formed, you know who they are and what they're about, how they feel about each other, how they feel about a place and what their intentions are in terms of who they are in that film and what they're doing to move that story on." Samuel also revealed Quentin is unlike any other film-maker he's ever worked with. He told Britain's GQ magazine: "Quentin has this amazing repository of cinematic memory that I have yet to encounter in anyone else. "He can talk about films, scenes in films, who wrote a particular film, what was going on in the country or in their minds when they wrote that film, the actors in the film; he can describe a particular shot in a film and he just lives, breathes and kind of regurgitates stuff about movies that make the process different while you're doing it."